The day is 35 degrees Celsius. I am due to leave by overnight train for my holiday destination late in the day. Two days earlier, I have packed up ‘the big stuff’ and moved it back into my three-quarters full storage unit: my bike, extra blankets and bedding, my Christmas tree and decorations, a barely-used camping washer I thought could substitute an actual washing machine. I was tasked thereafter with packing my clothes back into their long-term home (my favourite large suitcase) as well as packing up my blow-up mattress and mismatched, ill-fitting bedding and towels, my beloved radio/cd player, my fan and portable rail/wardrobe, ready to move out of my latest temporary home and back into their packed up status in their usual boxes and shopping bags to live in my storage unit. I was loathe to pack up the fan and make do with open windows of hot air for lack of any air-conditioner. What are the signs of an eternal nomad? That I never throw away boxes because surely I will soon be packing the contents back in again? That I have an unusually high collection of green, chilly and other cloth shopping bags for random stuffing at each move? Is it normal to own no less than 6 suitcases that are constantly filled? Since 2002, I have lived out of a suitcase – travelling, living and working in 13 countries around the world. Back ‘home’, despite seeing it as the sign of having too much, I have rented storage space almost the entire time. Nomad. Hoarder. Guilty. I had lived in this house for about 6 weeks, out of the city hostel in which I had overstayed, now closer to work and finally granted my own room after 10 months of sharing room space with 3 others in two different living situations. With this privacy, as the ex-hoarder, eternal declutter hopeful, I opted to pull out a few ‘projects’ from my storage to sort out my excess paper problem. One, was to find all the filing and mail from the past 18 months since I moved out of my last leased apartment, and put it away in its homes in a rather large, well-organised container of my filing ring-binders. Done. Two, which will be further detailed in a future post, was to try to update my e-inventory of things I own, in storage, in other cities, and artfully determine via a slightly over-clouded memory, what I still have and where it actually is. This update comes from lists up to 12 years old, ever since my first international move saw my things split between 4 countries. Yes, really. The good news is I made some headway during this last temp stay, and delightfully threw away a lot of papers from that list. The last and largest project was to deal with my very large, heavy, hoarded collection of magazine articles. I would like to think I made some headway on that. Again, it will be the topic on a future post. On the day of my move/holiday, this scorching Australian summer day, I had removed the big stuff and what remained were paper and junk piles on the floor. I reluctantly shoved the remaining papers back into shopping bags. Things I need to action post-holiday went into a plastic shoebox container. My pile to return to the unit, with the clothes, bedding, music player, fan and robe was already looking larger than a car-boot full. It’s amazing how much you need just to live, right? 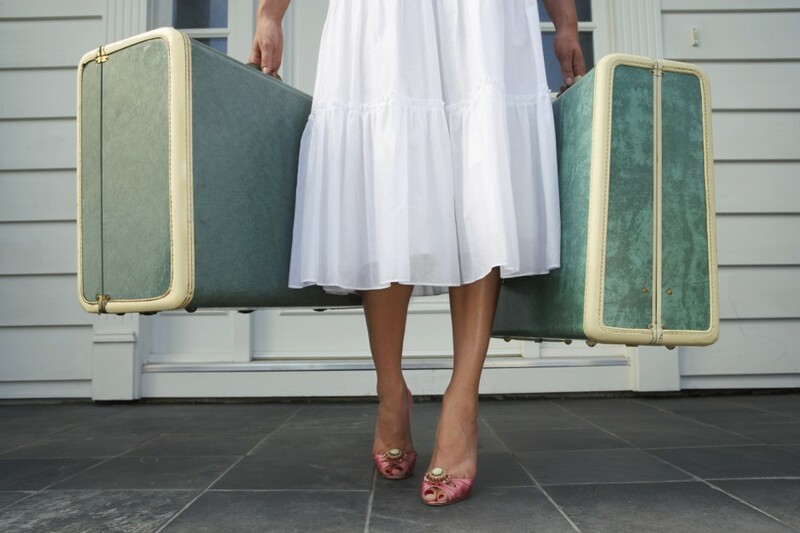 As I added the packed up toiletries and food and my holiday pile, I could feel the stress returning, my pulse racing and my mind spinning in panic. I thought I had actually made a dent in my storage pile this time. I knew the unit would be pretty full once more. And more than a taxi driver would let me stuff in their car. Thankfully I hire share cars straight off the roadside, and could grab one last minute. Perhaps the worst part of this day was yet to come, as time grew tighter. Having not booked my holiday til two days prior, I was headed for one of those more questionable hostels beachside, so my regular, small short-holiday suitcase, laying empty and waiting, was going to be too small to fit towels and my favourite travel blanket as well as the usual holiday gear. Already pushed for time, I had to empty my wardrobe, that larger, favourite suitcase filled with all my daily life clothing and things, and squish its contents into the small suitcase plus shopping bags. Then unbelievably, I filled my larger suitcase with the holiday stuff. After almost two decades of travelling, I thought I had gotten good at packing light for holidays. Not in this context it seems. This is a familiar feeling. Hoping to achieve too much in a short period and then feeling like a failure when it comes to the crunch and I no longer have time to deal: in this case, minimising my holiday contents and moving on the same day. I raced off in a hot, sweaty tram to pick up the car from by my storage unit, just as the day reached its humid peak and the clouds exploded with torrential rain. Sweat poured off me – and I’m not normally a sweater. Thankfully the rain died down just as I reached my stop and the car. I raced it back to the house, loaded it up – even the front passenger seat was full – and returned to fill the storage unit to the brim just on the dot of closing time. Again, a familiar practice. I took one pitiful look as I closed the roller door. At last I was done, and could head off with two hours to spare to my holiday. But that last look at my overstuffed storage filled me with resolve. Sharing my story with others will be my motivation to keep going. I hope to find people who can relate and who feel empathy as they have been through the same.